The heart of our Pharmacy is the people who serve you and the services that they offer. We have developed key services that focus on your needs and well-being. We understand that sometimes taking your medication, or giving it to your child can be a challenge. Learn about how our Custom Compounding solutions can help. Managing multiple medications isn’t easy. PureHealth would like to make it that much easier by offering a free counselling session with one of our staff pharmacists. This one-to-one consultation takes place in our private counselling room and will give you the opportunity to ask and learn about your medication regimen. The original MedsCheck program was launched on April 1, 2007. It is for those Ontarians taking a minimum of three medications for a chronic condition. MedsCheck is a one-on-one 30 minute annual appointment with a pharmacist to review medications and help a patient better understand their medication therapy and ensure that medications are taken as prescribed. There is no cost to the patient. For eligible patients that may require another MedsCheck during the year for reasons including a planned hospital admission or managing your medications after being discharged from the hospital, you may contact us for another consultation. The expanded MedsCheck program was launched in 2010. It is reaching Ontarians who were not eligible or able to benefit from the original MedsCheck. The expanded programs now reach residents of licensed Long-Term Care Homes, all people in Ontario who are living with diabetes as well as those who are home-bound and not able to attend their community pharmacy for the service. Prior to the new MedsCheck for Diabetes program a patient with Type 1 or Type 2 Diabetes and taking less than three medications was not eligible for a MedsCheck. Now a patient who is newly diagnosed with diabetes and taking less than three medications benefits from the one-on-one consultation with the pharmacist towards overall disease management. There is NO Cost for you. Patients may benefit from the on-going medication management of their diabetes with us. It is an opportunity for PureHealth pharmacists to engage the patient in a focused medication review including advice, training on devices, monitoring and diabetes education. Book a personal Health Consultation. Patients managing several prescriptions have a real challenge to maintain a strict adherence to the prescribed regimen of drugs. Getting the right doses at the right time -all the time. Missing a dose can throw a regimen out of whack and be counter-productive to your health. 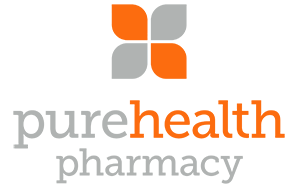 PureHealth Pharmacy is unique in Ontario offering a proprietary compliance packaging system using easy to open pouches and a PureHealth dispensary box. With this system, there is never a question as to when the drugs are to be taken and where you are in the process. Each pouch is clearly labeled for you. This is a unique service provided by PureHealth Pharmacy and enjoyed by hundreds of clients. Ask about our custom solutions for your unique needs. 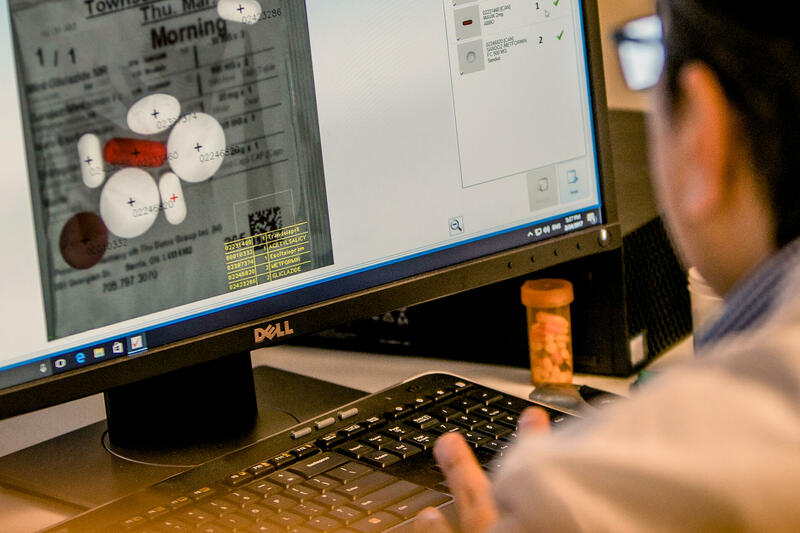 We’ve invested in technology and advanced robotics to quickly and accurately process prescriptions. When you drop off your prescription, our team and systems work to fill it only 5 minutes, so that you can get back to your day. 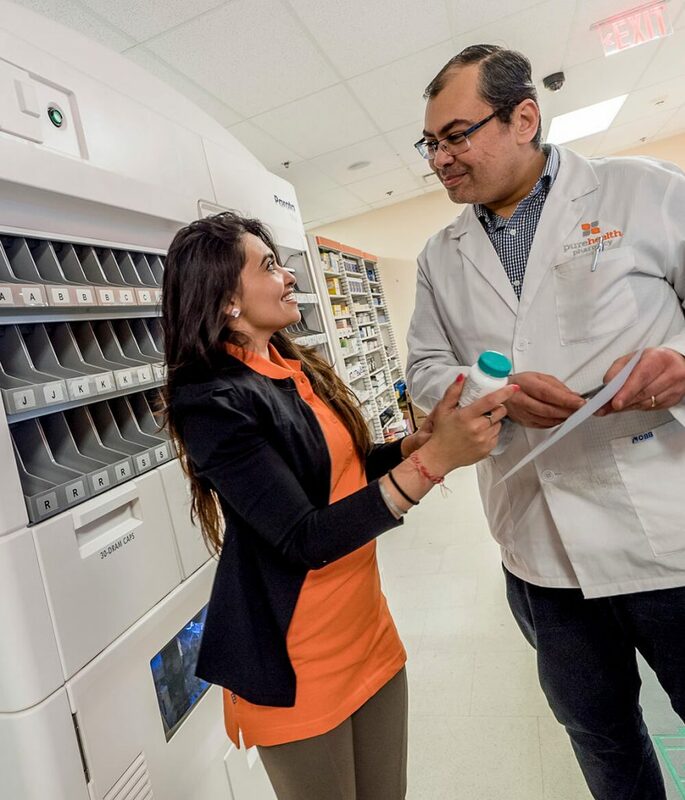 Each pouch of medication in our PurePak dispenser is checked by our automated systems and double checked by a trained pharmacist to ensure that you get the right meds at the right time. Visit us to take advantage of our 5-minute prescription filling, or contact us ahead of time to make use our free local delivery—straight to your doorstep. Be prepared for the Flu season by getting your vaccination before it’s too late. This service is free to all Ontario residents and is covered by OHIP. Our pharmacists know how to provide these shots in a nearly painless fashion. Come and experience it for yourself! Not only will you be amazed at how painless it is, you will be ready to fight off a variety of flu viruses throughout the year. Often clients receive their prescriptions from more than one pharmacy or the move to another area and have not found a new pharmacy that meets their needs. As you experience the PureHealth care and services, you can see the benefits that you would experience by making us your home pharmacy. Transferring your files is easy. You can benefit from the full-range of customer based care and services that we offer, and receive your medications in our PurePak.